EXPERTOS EN EL CAMPO IMPOSITIVO Y LEGAL. Elements, taxable and tax base period. “V) The specific rate, within the range prescribed by law, for municipal councils. 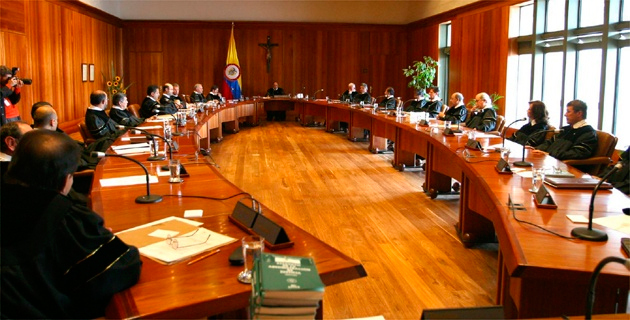 “As for the temporal element of fact taxed in the tax on industry and trade, revenues in conducting taxable activities are generated during a period that coincides with the calendar year, or a two-month period, as exceptionally it occurs in the Capital District Bogota, on behalf of the forecast brought by Decree Law 1421 of 1993. “Unlike taxes instant causation, in which the occurrence of each generator coincides with the birth of the consequent tax liability in the tax on industry and trade the time element is constituted by a period, which means that only at the time it ends, it will cause the tax and the tax liability arises to pay. Thus, the tax liability is the result of taxable events that occurred during the period, which as noted, is between 1 January and 31 December fiscal year and due on the last date indicated. “The place where taxable activities are performed determines the spatial element of the operative event for the tribute, which, moreover sets the scope of the tax competence of the municipalities. “In turn, because of the correspondence that should exist between the essential elements of the tax, the subjective element of the operative event must match the taxpaying capacity which bears the tax, which implies that the subject called to respond as required for payment of tax it is the same as performs activities taxed with the tax on industry and trade, which earns an income. Hence the case of a direct tax, levied because who performs the taxable activity, whose economic capacity is presumed . “So, it is clarified that it is only until the moment that ends the taxable period when the tax is incurred and the tax liability arises from pay, which is the result of taxable events that occurred during this time, which in this case would materialize in the standard defendant must establish (i) the operative event related to industrial, commercial or service to conduct the taxable activity, not a generic, abstract and minimum tax for all activities in that jurisdiction; (Ii) that, if the case only until the end of the period the taxpayer must pay the tax ICA on the average monthly gross income of the previous year, not S.M.M.L.V., without indicating the periods and; (Iii) to that base rate would apply not to exceed the limit established by Law 14 of 1983. “(Emphasis added). 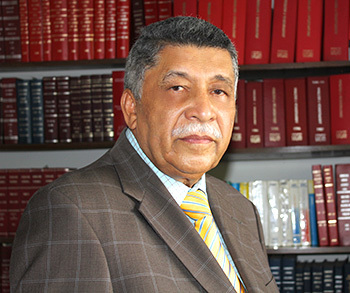 In Auto August 23, 2016, the Constitutional Court, with Substantiating Justice Dr. Luis Ernesto Vargas Silva admitted the lawsuit, filed by Humberto citizen of Jesus Longas Londoño, against the expression “adjusted annually on its own initiative, the first of January each year, the percentage change in the Consumer Price Index, certified by the DANE for the immediately preceding year, “Article 14 of Law 100 of December 23, 1993. Law 100 of December 23, 1993 “by which the system of comprehensive social security is created and other provisions”. “Article 14. Adjustment of pensions. In order that old-age pensions or retirement, disability and replacement or survivors in either of the two regimes general pension system, maintain their purchasing power, they are adjusted annually on its own initiative, the first of January each year, the percentage change in the consumer price index, certified by the DANE for the previous year. However, pensions whose monthly amount is equal to the legal monthly minimum wage will be readjusted every time job with the same percentage by which the minimum wage is increased by the government. “PARAGRAPH.- added by art. 45, Law 1328 of 2009, Amended by art. 138, Act 1753 of 2015. The National Government may establish hedging mechanisms that allow insurers cover the risk of increased pensions that could have immediate annuity and deferred annuity dealing Articles 80 and 82 of this law when increasing the current legal monthly minimum wage is higher than the percentage change in the price index certified by the National Administrative Department of Statistics Consumer for the respective year. The National Government will determine the costs resulting from the application of these hedging mechanisms. The Superior Council of Fiscal Policy (CONFIS) grant tax guarantee for these coverages. “(In bold and underlined the expression defendant). The next step is the decision on the merits of the Plenary Chamber of the Constitutional Court. Penalty for not filing or late filing or correction. 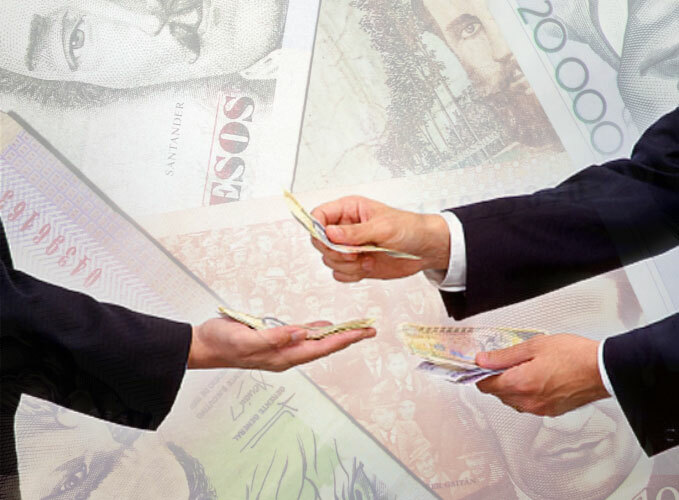 Articles 42 and 43 of Law 1739 of December 23, 2014, which added paragraph 4 of Article 574 and Article 607 of the Tax Code, established the obligation as of the fiscal year 2015, for taxpayers income tax and complementary who hold foreign assets of any nature, to present the annual declaration of assets abroad. The equity value of foreign assets held to declare January 1 of each year should be higher than 3,580 UVT (2016, 3,580 UVT x $ 29,753 = $ 106,516,000). These rules did not establish any penalty for failing to file or extemporaneously such a declaration or correct it. However, the resolution of the DIAN 96 of 14 September 2015, which prescribed the FormulANNUAL STATEMENT OF ASSETS ABROADario 160 of the annual declaration of assets abroad in the fiscal year 2015, established that non-submission or late submission of the declaration , causes the sanction provided for in Article 651 of the Tax Code, punishment for not sending information. First. The annual declaration of assets abroad is a tax return under the terms of Article 42 of Law 1739 of December 23, 2014, which added paragraph 4 of Article 574 of the Tax Code; and standards governing sanctions on failure to file tax returns or late submission or correction, are set directly in the law, as with the penalty for failure to declare the tax returns of Article 643 of the Tax Code , or the penalty for late submission of tax returns, articles 641 and 642 of the tax Code, or punishment of correction of tax returns, Article 644 of the tax Code. However, these sanctions do not apply to the annual declaration of assets abroad, because the principle of criminality required for these offenses is not met for it. Second. The annual declaration of assets abroad is not comparable to the provision of tax information or information requested evidence of Article 651 of the Tax Code, because, as set out in Articles 42 and 43 of Law 1739 of December 23, 2014 such a declaration constitutes tax return, and not the mere provision of tax information. Third. Tax penalties must be previously established by law, in accordance with Article 29 of the Constitution of Colombia. Therefore, if Articles 42 and 43 of Law 1739 of December 23, 2014, did not establish penalties for failure to file or late filing or correcting the annual tax return of assets abroad, it does not belong to the Administrative authorities through administrative acts, DIAN Resolution 96, of 14 September 2015, establishing for this tax declaration of assets abroad the penalty for not sending information Article 651 of the tax Code. First. The penalty for not declaring Article 643 of the Tax Code, is regulated exclusively for the omission of the statement of income and complementary to the omission of the tax return on sales, for the omission of the statement of withholding and for the omission of the statement of stamp duty. Second. The penalty for late submission of articles 641 and 642 of the Tax Code, equivalent to a percentage of the total tax payable or retention; and if it is not imposed by or retention, the penalty is applied on gross income or the balance in favor; and if these items do not occur on the liquid assets of the previous year; with a limit of 2,500 UVT, though there is no credit balance. For the tax declaration of assets abroad, they do not operate the limits set out in Articles 641 and 642 of the Tax Code, to apply the penalty for lateness, because there is no place to determine tax payable, withholding, gross income, credit balance, or net worth, or the punishment of 2,500 UVT, by the lack of balance in favor because this statement does not determine these items. Third. The penalty for correction of Article 644 of the Tax Code, applies when it occurs, by the correction of the tax return, pay a higher value or a lower balance in favor. 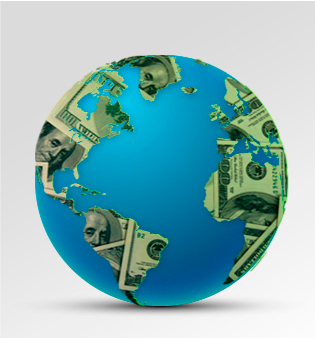 In the tax declaration of assets abroad, higher values or lower balances to pay for not occur. Fourth. Therefore, for the annual tax return of assets abroad, the penalty for not declaring Article 643 of the Tax Code nor the penalty for late submission of articles 641 and 642 of the Tax Code nor the penalty for correction are not applicable to it Article 644 of the Tax Code; and less, the penalty for not sending information Article 651 of the Tax Code, because, Law, Law 1739 of December 23, 2014, did not establish any penalty for this statement, or sent to other legal provisions on tax penalties. In short, in our opinion, this annual tax declaration of assets abroad, is not subject to tax penalty. Activity of sea and river transport. Considering it of interest, we transcribed verbatim excerpts of the judgment of the State Council, Filing No. 21276 of 25 July 2016 on the tax on industry and trade activity maritime and river transport. 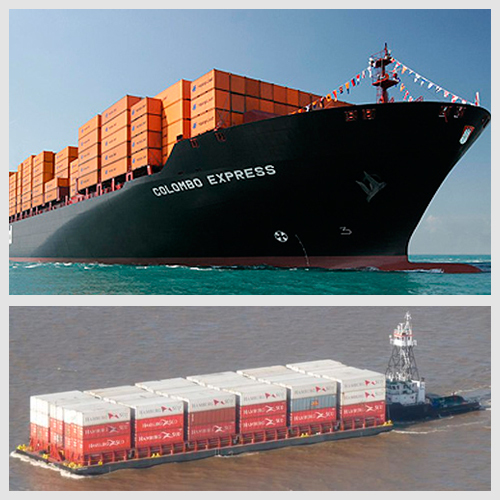 “As regards the determination of taxable persons << natural persons, legal >> service providing maritime and river transport cargo, made by Article 5 in question (the Turbo Municipal Agreement No. 010 March 31, 2005), the Chamber considers that conforms to the law, such as subjects perform the taxable activity in the municipality and have commercial establishments or branches in that jurisdiction. “So, the Court finds that the accused standard -Article 32 of Law 14 of 1983, compiled by the 1333 Decree 195 of 1986 establishes a rule according to which the municipality called to collect the tax on industry and trade, ie the active subject of this tribute, is that where carried out commercial, industrial or services >> activity. (It is underlined). “In the ruling issued by the Constitutional Court draws the demarcation of the municipality that serves as an active tribute subject is given in terms of the use that the taxpayer makes the infrastructure services market and other resources of the entity territorial, for the taxable activity. “This implies that the operative event for the tax on industry and trade cause in the place where is located the business establishment of the legal entity (carrier) or natural providing the service taxed, it is not enough, as in the case of maritime or fluvial transport, the boat leaves the municipality to understand such service was provided in that jurisdiction and which therefore can be taxed with the tax in question. “For purposes of this case the Chamber notes that Article 5 of the agreement defendant stated that taxpayers are natural or legal persons that provide transportation services << from the jurisdiction of the municipality of Turbo, in accordance with the principle of territoriality, according to Art. 294 NC (Sic) and Law 14 of 1983, which says you should pay tax in the municipality or district where the activity is carried out, in the case of service or cargo shipping goods at the place where the service originates >> . (It is underlined). “In these circumstances the Chamber declare the conditional legality of that article 5, on the understanding that will only be subject to the tax the natural or legal persons who, when providing the recorded service (sic), exploit the resources of the municipality (market , infrastructure and so on), provided they have business establishments or branches in that jurisdiction. “ M.P. Marco Gerardo Monroy Cabra. Constitutional Court Judgment C-327/16 June 22, 2016. The Constitutional Court in Judgment C-327/16 of an 22 June 2016 declared constitutional the expression “begins at birth” contained in Article 90 of the Civil Code. “ARTICLE 90. LEGAL EXISTENCE OF PEOPLE. 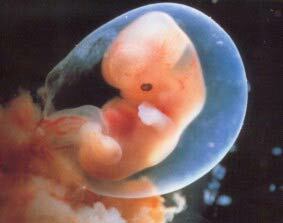 The legal existence of every person begins at birth, that is, to be completely separated from his mother. 04858 Concept of 8 March 2016 of the DIAN. Considering it of interest is transcribed verbatim 04858 Concept of 8 March 2016 of the DIAN, on retention at minimum source for employees in the IMAN and the IMAS, in the following terms. “In accordance with Article 19 of Decree 4048 of 2008, is a function of the Directorate absolving the written consultations made, on interpretation and application of tax rules of national character, customs and exchange competition in this entity. “In the letter of reference, request reconsideration in Office 001 344 of 04 February this year, in which it was concluded – among others- that according to the ratio decidendi of the judgment C-492 of 2015 25% exempt income dealt with in section 10 of article 206 of the Tax Code does not apply for purposes of retention in the minimum font size set out in Article 384 ibid. “Additionally that argues” [t] he judgment created a sub, consisting of a supralegal mandate recognizes the special application of the equivalent exemption to 25% of payments or credits into account, limited to 240 monthly UVT, headed by employees IMAN and subject to the IMAS systems – PE. “As we expressed at the office 001 344 2015, Case C – 492 of 2015, referred in its ratio decidendi that enlargement of the exempt income of 25% of what is paragraph 10 of Article 206 of the ET, in for the protection of the vital minimum he was solely for the determination of income for IMAN and IMAS systems – PE. “Now, in relation to Article 369 of the ET, it should be understood that it operates when full payment is exempt and not just a section of it, as was expressed in the Office 012 642 2008 . “According to the above, and because of what transpired in the judgment cited, the Honorable Constitutional Court restricts the application of the exempt income of 25% mentioned the determination of income for IMAN and IMAS – PE. For this reason, it does not correspond to this address to a different extent to which it follows from the constitutional jurisprudence. “In view of the above, and according to the arguments does not apply the 25% tax-free that is paragraph 10 of Article 206 of the Tax Code, the minimum retention. “Therefore the argument put forward in the Office 2016 001 344 is confirmed. “In the above terms your query is resolved. On the other hand we express that the Tax and Customs, in order to facilitate taxpayers, users and the general public direct access to their doctrinaire pronouncements, has published on its website www.dian.gov.co , based on the concepts in tax, customs and exchange issued since 2001, which can be entered by the icon “Regulations” matter – “Technical” – by clicking the link “Doctrine – Directorate of Legal Management . Described below, the various processes governing the Third Book of the Law 1564 of July 12, 2012, General Code of Procedure, and matters before processing. 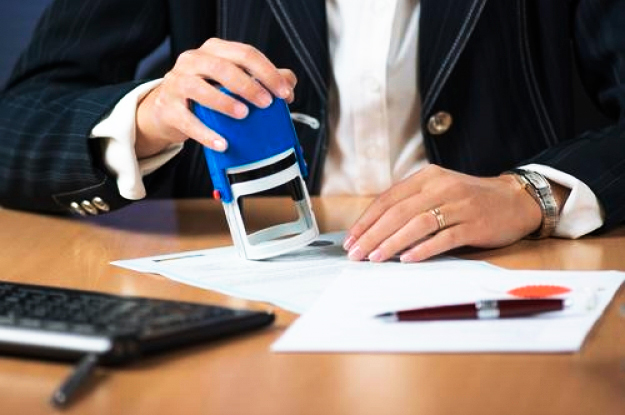 Abarca concerning testate successions, intestate or mixed, without prejudice to the notarial procedure provided by law. It also covers the settlement of marital or holding companies, by cause of death. Regula, moreover, although no succession process, prior judicial license, which must be requested before formalize the respective Public Deed for the partition of heritage, that life wants to spontaneously make a person, to award all or part of their goods, with or without reservation of usufruct or administration. Liquidation of companies or assets, for reasons other than the death of spouses or permanent companions. This process occurs for marital settlement or holding company dissolved because of court judgment or ruling issued by religious authority. Dissolution, nullity and liquidation of companies. Promoted by any partner, to invoke any of the grounds provided by law or contract. The procedure must be performed in accordance with the general rules of verbal process. It is not applicable to insolvency proceedings governed by Law 1116 of 2006 or its modifications, substitutions or additions. Insolvency of non-natural person trader. It is only applicable to persons who are not traders. It does not apply to natural persons noncontrolling traders companies or part of a group of companies whose insolvency should be subjected to insolvency regime of Law 1116 of 2006. The license requesting the parent family or guardians to dispose of or encumber assets of their constituents, or to perform other acts that are of interest to them, in cases where the Civil Code or other laws require. The license for voluntary emancipation. 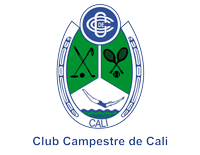 The appointment of guardians, counselors or administrators. The declaration of presumptive death by disappearance. Ban the person with absolute mental disability or deaf-mute who can not make themselves understood and their rehabilitation and incapacitation of persons with disabilities and on rehabilitation. The authorization required in case of adoption. The authorization to lift heritage homestead. Any other matters of voluntary jurisdiction that does not have designated different procedure. Divorce, separation and goods by mutual consent, without prejudice to the powers conferred on notaries. Correction, substitution or addition of items of marital status or name, pseudonym or annotation records or pages that record. Other matters determined by law. The termination of the contract of sale. Under enshrined in Article 1937 of the Civil Code provision; that is, the pact comisorio qualified. For those who have real rights over land dominant and servant, according to the certificate registrar of public documents, which must accompany the application, together with the opinion on the constitution, variation or termination of serfdom. To order the cessation of the disturbance of possession, possession security is given, and the execution of a work or a fact ban against possession. Also, to order the modification or destruction of anything that affects the possession and preventing the defendant to restore things or property to its original state. Delivery of the thing by the transferor to the transferee. When tradition has been effected by registration of title in the public register. Also, when it has acquired a right of usufruct, use or habitation, or paragraph 1 of Article 922 of the Commercial Code; that is, the tradition of real estate domain, which, in addition to the registration of title in the registry office of public instruments, require the physical delivery of the thing. In the process of accountability at the request of the recipient. If we consider accountable, without having been asked. Contesting acts of assemblies, boards of directors or partners, or any other governing body of legal persons of private law. The lawsuit may request the temporary suspension of the effects of the contested measure, by the violation of the provisions relied upon by the applicant. Declaration of vacant property or vacant. It can only be initiated by the entity to which the goods be awarded in accordance with the law. The landlord for the tenant demand will restore the leased property. Other processes of restitution of tenure. Subleased for the restitution of property, restitution of movable property given on lease, restitution of any kind of assets under ownership by way other than leasing, property restitution by the acquirer is not obligated to honor the lease. Investigation or challenge paternity or maternity. These processes research and challenge of parenthood. It is a process of nullity of civil marriage. Civil divorce process and cessation of civil effects of religious marriage. Separation of bodies of civil or religious marriage. Apply where relevant, the rules of civil procedure of divorce. Contentious issues for small claims, and on the following issues into consideration their nature. According to Articles 18 and 58 of Law 675 of 2001. Fixing, increase, decrease, food exemption and restitution of alimony. When there shall have been designated court. Disputes regarding parental authority arise; differences between spouses on fixing and home address; right to be received at home; obligation to live together; departure of minors abroad children; restoration of the rights of children and adolescents. Those referred to in Articles 913, 914, 916, 918, 931, 940 first paragraph, 1231, 1469 and 2026 of the Commercial Code. Article 913. Sale of samples or defined qualities. Article 914. Categories of undetermined quality. Article 916. Settlement of objections to receive. Article 918. total or partial None. On obligations of the seller. Article 931. Solution buyer objections. Article 940 paragraph 1. Buyer objections and actions for eviction. When the buyer to receive the thing, it claims not to be this species or agreed quality or may not be of receipt. Article 1231. Inventory and surety. About owners and co-owners of ships. Article 1469. Dispute on reparations. On regulation by experts or experts. Article 2026. Origin of the expert opinion. The provisions of Article 243 of Law 23 of 1982; that is, on civil matters arising from the payment of fees; for public performance of works and obligations by performing acts of public performance of musical works. Replacement, cancellation and claim of securities. Those who, under special provision, the judge is to decide knowingly, or briefly and summarily, or to his prudent judgment, or by way of referee. Released by de facto occupation of rural lands. Who economically exploit a rural property and deprived of any wholly or partly made of material possession thereof without any express or tacit consent, or order of competent authority, or there is other good cause. Special laws ordering process by verbal summary process. Incapacitation or rehabilitation of persons with mental disabilities relative. Comunero asking for material division of the common thing, or sale for the product is distributed. For the payment of a money obligation, contractual, specific and enforceable nature, that is the minimum amount. On enforcement, stating the express, clear and enforceable obligation in documents come from the debtor or its cause, and constitute full proof against him; or enforceable by the clear, explicit and enforceable obligations arising from a conviction handed down by a judge or court of any jurisdiction, or other court order, or any order of the processes of police approved settlement costs and fees auxiliary of justice, and other documents specified by law. Confession within a process not be enforceable, but, confession stating in interrogating party (Article 184 of Law 1564 of 2012, General Code of Procedure). SPECIAL CONDITIONS FOR THE PAYMENT OF TAXES, FEES AND TAXES, TAXES AND SANCTIONS CUSTOMS. Article 57 of Law 1739 of December 23, 2014. The Constitutional Court in Judgment C-743/15 of 2 December 2015 declared unconstitutional Article 57 of Law 1739 of 2014, which had established a tax amnesty called “Special condition for payment of taxes and contributions, customs duties and sanctions. ” As the Constitutional Court did not establish express term of validity of the judgment, applies to the future. CONSTITUTIONAL COURT. JUDGMENT C-668 28TH OCTOBER 2015. Unenforceability of “These taxpayers may not apply for tax recognition of costs and expenses other than those permitted to employed persons engaged in providing personal services or carrying risk of contracting economic activities account and” contained in the paragraph 4 of Article 206 of the Tax Code, added by Article 26 of Law 1739 of December 23, 2014. The Constitutional Court in Judgment C-668 of 28 October 2015 declared the unconstitutionality of “These taxpayers may not apply for tax recognition of costs and expenses other than those permitted to employed persons engaged in providing personal services or conducting risk of contracting economic activities account and “contained in paragraph 4 of Article 206 of the Tax Code, added by Article 26 of Law 1739 of December 23, 2014. Judges vote saved Luis Guillermo Perez Guerrero, Gabriel Eduardo Mendoza Martelo and Luis Ernesto Vargas Silva. 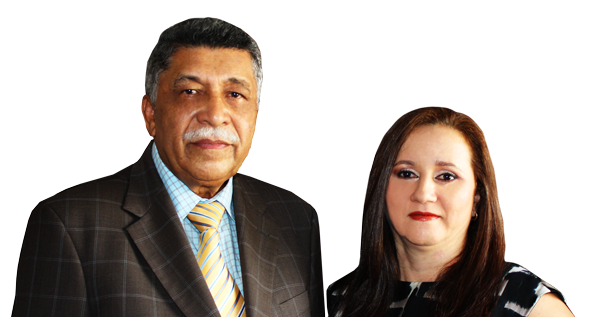 They clarified the vote Maria Victoria Street Magistrates Myriam Correa and Avila Roldan. This judgment applies from October 28, 2015, because the Constitutional Court did not establish special date for it. They can not be taxed, taxes or municipal or departmental contributions. Article 15 paragraph 2 of Law 1579 October 1, 2012, provides that no notarial or registration act can be taxed, taxes or municipal or departmental contributions except registration tax authorized by Law 223 of 1995 and those that modify or add. This paragraph was declared constitutional by the Constitutional Court in Judgment C- 260/15 of 6 May 2015. He disappeared in the Code of Administrative Procedure and Administrative. Administrative Acts general. Article 65. They must be published in the Official Journal or territorial Gazettes, as appropriate. If the entities of the central and decentralized local authorities administration does not have an official organ of publicity, they may disclose the Administrative Acts general by fixing notices, flyer distribution, insertion into other media, publication in the electronic or side page. If decisions put an end to an administrative action initiated by a petition of general interest, administrative acts of a general nature should be communicated by any effective means. In case of force majeure, preventing the publication in the Official Journal, the Government may publish the book through a mass medium of effective communication. Appointment Acts and acts different from popular vote Election, also must be published. Administrative acts of individual and concrete character. Articles 66, 67, 68, 69, 70, 71, 72 and 73. Must be delivered in full, authentic and free copy of the Administrative Act, the person concerned, his representative or agent, or person duly authorized. It should be noted the date, time and resources legally from the authorities who should bring and the deadlines for doing so. Any breach of these requirements invalidates the notification. always provided that the person concerned agrees to be notified in this way. The Administration may establish this type of notification for certain mass events that have origin in public calls. Any decision taken at public hearings must be notified orally in Court, leaving accurate record of the decisions and circumstances that such decisions are notified. The terms to bring the resources are counted from the day following the notification. If there is no more effective means must be sent to interested subpoena for personal notification to the address, fax number or email listed in the file or obtained from the commercial register. Sending the summons must be made within five (5) days following the issuance of the act. If the information about the recipient is unknown, the summons must be published on the website or in a place accessible to the public for a period of five (5) days. If you can not be made personal notification within five (5) days shipping citation for personal notice shall be made by notice to be sent to the address, fax number or email listed in the file or obtained in the commercial register. The notice must accompany full copy of the Administrative Act. The notice must indicate the date and the act is notified, the authority which issued the resources legally from the authorities to whom should stand, the respective deadlines, and warning that the notification is deemed stocked at the end the day following delivery of the notice in the destination day. If the information about the recipient, the notice with a full copy of the Administrative Act is unknown, must be published on the website and in a place accessible to the public, for the term of five (5) days, with the warning notice It is considered stocked at the end of the following day withdrawal notice. Notification of acts registration and registration. They understand notified the day when the corresponding entry is made. If the act of registration has been requested by someone other than who appears as the right holder, registration must be communicated to such holder by any suitable means within five (5) days of the entry or entity. Any person to be notified of an administrative act may authorize another person to be notified by letter to its name. Without fulfilling the requirements of the Act shall not be taken for granted notification or decision produces legal effects, unless the interested party knows reveals that the act, decision or consent interpose legal remedies. Advertising or notifications to affected third parties, whom the address is unknown. It is ordered to publish the operative part on the website of the entity and a mass media in the territory where jurisdiction who issued the decision. In the rules of the 1437 Act 2011, Code of Administrative Procedure and Administrative, analyzed, notification by edict of administrative acts is not regulated. Therefore, this form of notice as required by Article 45 of the Administrative Code, Decree 01 of 1984, disappeared before the repeal established by Article 309 of Law 1437 of 2011, Code of Administrative Procedure and Administrative . However, special rules remain in effect establishing notification by edict of administrative acts; such as Article 565 of the Tax Code, as amended by Article 45 of Law 1111 of 2006 and supplemented by Article 135 of Law 1607 of 2012. TAX STREETLIGHTING was replaced by SPECIAL CONTRIBUTION. Replaced by Article 191 of Law 1753 of June 9, 2015. Article 191 of Law 1753 of June 9, 2015, the National Development Plan 2014-2018, established that the Public Lighting is an essential public service, public service inherent power. It indicates this rule, which in no case can charge for this service without having made the same provision in its area of ​​influence. the special contribution earmarked for the financing of public lighting service as a cost recovery and efficient expenditure of all activities associated with the provision of this service was established. This special contribution tax replaces the Public Lighting, and in particular paragraph d) of Article 10 of Law 97 of 1913, in regard to the tax, and other laws that complement; and applies to local authorities which issued Agreements adopting the Tax Public Lighting according to the Laws 97 of 1913 and 84 of 1915, which will have a term of one (1) year from June 9, 2015, to adopt this special contribution, and completed this period substitution operates. Those conducting electricity consumption, either as users of home electricity public service or as self-generators. Also, in cases where no electrical energy consumption, property owners and taxpayers of property tax, which are within the jurisdiction of the respective municipality or district are made. The Ministry of Mines and Energy or the authority delegated should determine the methodology, which contains technical criteria to consider, municipal and district councils, for allocating the cost to recover between taxpayers. For power users, the liquidation of the contribution must consider the volume of electricity consumed. For property owners and other taxpayers of property tax in cases where no electrical energy consumption is carried out, the settlement of the contribution must consider the elements of the valuation of the respective property, taking into account the area of ​​influence Public Lighting service. The value of the contribution, in no case may exceed the maximum value to be determined, in accordance with the distribution criteria contained in the methodology established by the Ministry of Mines and Energy or the authority delegated. They must be defined by the Municipal or District Mayors, through own billing companies or public utilities under its jurisdiction, among others. They are subject to the control and supervision of the Superintendence of Public Services, aspects related to quality and service delivery. Destination of the collection of the contribution. It should be used to defray the cost of providing the public service of public lighting, from June 9, 2015. If incorporated in the agreements tax streetlights, municipalities and districts must establish the source of funding for their costs and expenses, from the end of the period of one (1) year from June 9, 2015 . SPECIAL condition for payment of taxes and contributions, customs duties and penalties. The Constitutional Court in Judgment C-743/15 de December 2, 2015 declared unconstitutional Article 57 of Law 1739 of 2014, which had established a tax amnesty called “Special condition for payment of taxes and contributions, customs duties and sanctions “. As the Constitutional Court did not establish express term of validity of the judgment, apply to the future. CONSTITUTIONAL COURT. C-668 JUDGMENT OF 28 OCTOBER 2015. Unenforceability of “These taxpayers may not claim tax recognition of costs and expenses other than those permitted to employed persons engaged in providing personal services or carrying out economic activities risk of contracting for and” contained in the Paragraph 4 of Article 206 of the Tax Code, added by Article 26 of Law 1739 of December 23, 2014. The Constitutional Court in Judgment C-668 of October 28, 2015 declared the unconstitutionality of “These taxpayers may not claim tax recognition of costs and expenses other than those permitted to employed persons engaged in providing personal services or conducting risk of contracting economic activity for and “contained in paragraph 4 of Article 206 of the Tax Code, added by Article 26 of Law 1739 of December 23, 2014. Judges vote saved Luis Guillermo Perez Guerrero, Gabriel Eduardo Mendoza and Luis Ernesto Vargas Martelo Silva. Judges clarified the vote Maria Victoria Street Myriam Correa and Avila Roldan. Article 15 paragraph 2 of Law 1579 October 1, 2012, provides that no registration or notarial act can be taxed, taxes or municipal or departmental contributions, except registration tax authorized by Law 223 of 1995 those which modify or add. This paragraph was declared admissible by the Constitutional Court in the Judgment C- 260/15 of 6 May 2015. La actividad principal de la Sociedad consiste en la prestación de servicios y asesorías en impuestos, auditorías, financieras y administrativas, la explotación de representaciones comerciales y profesionales. 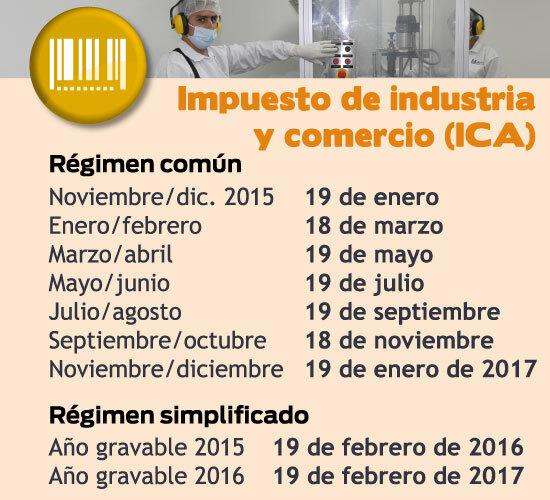 A partir del año 1999 nuestra compañía ofrece el servicio de Asesoría Jurídica en los campos Civil, Comercial, Negocios Internacionales, Marcas, Patentes, Good Will, Contratación Estatal, Derecho Administrativo. Composed of Certified Public Accountants and Lawyers experts in tax, accounting and legal field. Meeting the needs of clients in tax, administrative, financial, accounting, auditing, legal and legal aspects. Provide timely and effective service in all our areas, to customers. This service is to provide our clients professional assistance needed to address general or specific tax problems, lending either through meetings or through written concepts, phone, online via Skype and e-mail, web page, network social, in which we materialize our suggestions and the best way to implement them. This aspect of our work corresponds to a program review accounting documents that record business transactions to verify that they are meeting the legal requirements with respect to taxes on income, sales, national stamp, industry and commerce, international changes, ledgers, etc.. This work is developed through testing, using techniques and generally accepted auditing standards and the results are communicated through a memorandum of comments and recommendations. If a review of the tax returns is also required, in accordance with the work described in the post VIEW ON TAX RETURNS point is made. The planning work is mentioned statements instructing personnel of our clients in charge of their preparation in the most appropriate way to accumulate information necessary accounting and the preparation of the Annexes, which models give customers. The training of personnel is done through monitoring the work done and regular meetings with the same. We undertake the review of the statements referred to verify compliance with all formal requirements on the presentation of the data to be contained in such statements. The result of this work is communicated through a letter in which the observations are applicable and appropriate recommendations are given for obtaining tax benefits, if possible. We professional written opinion on compliance with the substantive and formal requirements on tax returns prior tax audit work, conducted as described in the previous section TAX AUDIT. Due to changes in the laws on taxation, loans advice from the point of view of preventing future situations, for which we developed special tax studies projected, through which determines the best mode of operation of the company the legal nature, most profitable to the company and its partners and / or shareholders, and in general all the circumstances considered in this produce future tax benefits. In addition to the listed facilities, our organization is responsible for tax preparing answers to special requirements, locations, ordinary requirements, statements of objections, direct revocation, resources and demands against the actions of the tax authorities, and provides advice to attend visits by tax authorities, and generally spends all his ability to solve problems service tax by that our customers may have. Our services are provided primarily in the client's office for regular visits from our professionals, so that they detect and correct the different tax situations with appropriate urgency and professional standing. Are quoted and billed in accordance with each service requested, by arrangement with the customer, according to the Political Contribution and Fee Billing latest. Policy Fees For Specialized Consulting And Tax Aspects Of Spot In Humberto Longas Londoño. Once you know the referred customer, we request the information necessary to prepare the prior contributions of the research. The price , when feasible, is sent directly to the customer who referred with copy forwarded. Approved by the referred customer, and obtained the necessary information needed , the contract work begins. The finished work is presented directly to the referred customer with a copy forwarded. The invoice is sent directly to the referred customer by him for payment. Paid the bill for the referred customer, who cancel fees forwarded twelve percent ( 12%) of the value of the fees billed to the client, in the case of a timely work, and twelve percent (12 % ) on the value of the fees billed to the customer for each month for the first four months , in the case of a monthly ongoing advice . The following is our consistent policy of price and billing fees for professional tax advisory services , developed for over thirty years, and which is provided by professionals in the office. 1.1. Minimum time permanent consulting. The delivery period is permanent consulting the month . No permanent consulting accept below four (4) hours month. No permanent consultancy that repeatedly cause than month period is accepted. Permanent consulting rate corresponds to fifty percent ( 50 % ) of themonthly legal minimum wage per hour. 2. Eventual or occasional consulting. Compelling link does not imply permanent consulting, and previously quoted in each case , depending on the importance of consultation. Overall , the price and billing will be made on one hundred percent (100 % ) of the monthly legal minimum wage for time incurred or deemed incurred. The fraction of time are listed and billed by the minute , on a one point sixty -seven percent (1.67 % ) of the monthly legal minimum wage for incurred or deemed incurred minute. Exceptionally, the contingency fee system , where the tax benefit for or deemed important, and stipulated in the thirty percent ( 30 % ) of the tax benefit for deemed or shall be used. Means tax benefit , savings or elimination of contingencies , taxes, surcharges, penalties and interest , which is obtained or deemed obtained by consulting. The quotation and billing can not be less than one hundred percent ( 100 % ) of the monthly legal minimum wage for time incurred or deemed incurred or sixty-seven point one percent ( 1.67 %) of the minimum wage current monthly per minute incurred or estimated to be incurred. 3. Planning and review of tax returns. Previously quoted in each case. The quotation and billing will be based on one hundred percent (100 % ) of the monthly legal minimum wage for time incurred or deemed incurred. Exceptionally, only for customers purchasing service Permanent Tax Consulting, the price and billing will be based on fifty percent (50 % ) of the monthly legal minimum wage per hour incurred or deemed incurred. 4. Tax audit or review tax returns. 5. Responses to special requirements, direct revocation , resources or demands, and other memorials for tax proceedings. In general , the preparation of each memorial will be quoted and billed according to the actual time incurred or deemed incurred at the rate of one hundred percent (100 % ) of the monthly legal minimum wage per hour, and shall be credited , where case , the final fees to be settled by contingency fee , have no tax benefit, this value corresponds to the final fee, if not acted as a special agent. Exceptionally, the contingency fee system , as stipulated in the thirty percent ( 30 % ) of the tax benefit obtained or deemed obtained by the favorable ruling will be used. Acting as special agent, which is different from the preparation of the memorial will be quoted and billed separately as single value because two hundred percent (200 % ) of the monthly legal minimum wage , attributable to the final fees, liquidated when the contingency fee , have no tax benefit, this value corresponds to the final fee that will be added to the final fee for the preparation of the memorial. The handling and driving process and intervention in special hearings by proxy, will be billed separately at the rate of two (2) hours per month at the rate of fifty percent (50 % ) of the monthly legal minimum wage per hour. Travel expenses and per diem will be billed according to actual disbursements properly incurred. There are other jobs : tax preparation , preparation of special studies, reviews of the refund , accounting and tax planning and projections , accounting and tax reviews , and other works of different taxes thereof. 6.1. Rate of special studies. Overall , the price and billing will be based on one hundred percent (100 % ) of the monthly legal minimum wage for time incurred or deemed incurred. Exceptionally, the contingency fee system , as stipulated in the thirty percent ( 30 % ) of the tax benefit obtained or deemed obtained will be used . Means tax benefit, savings or elimination of contingencies , taxes, surcharges, penalties and interest , deemed obtained by the study. If no estimated tax benefit , the price and billing will be made on one hundred percent (100 % ) of the monthly legal minimum wage for time incurred or deemed incurred. The quotation and billing can not be less , in any case , one hundred percent (100 % ) of the monthly legal minimum wage for time incurred or deemed incurred. Previously be quoted in each case. Receive timely and tax consulting , tax research and tax concepts , answers to requirements, resources , demands, and memorials , in tax matters which must be made directly by Humberto Longas Londoño. EXCHANGE POLICY AND PAYMENT OF FEES. 1. Specialized consulting and timely tax issues. Is paid directly by Humberto Longas Londoño in meetings, phone, online (web, Skype , e- mail , social networking), to meet special and timely consultations on tax aspects , by the time quoted and approved. No compelling involves linking Permanent Tax Consulting and previously quoted in each case , depending on the importance of consultation. Overall , the price and billing will be made on two hundred percent (200 % ) of the monthly legal minimum wage for time incurred or deemed incurred. The fraction of time are listed and billed by the minute because three point thirty -four percent (3.34 % ) of the monthly legal minimum wage for incurred or deemed incurred minute. Exceptionally, the contingency fee system , as stipulated in the thirty percent ( 30 % ) of the tax benefit obtained will be used to obtain or estimate. Means tax benefit , savings or elimination of contingencies, taxes, surcharges, penalties and interest, deemed obtained by consulting. The quotation and billing can not be less than two hundred percent (200 % ) of the monthly legal minimum wage per hour incurred or deemed incurred or thirty-four point three percent ( 3.34% ) of the minimum wage current monthly per minute incurred or estimated to be incurred. The excess of the agreed hours, incurred hour, billed by three hundred percent ( 300 % ) of the monthly legal minimum wage , or zero point five one percent ( 5.01% ) of the monthly legal minimum wage for minute incurred or estimated to be incurred. 2. Response to special requirements, direct revocation , resources or demands, and other memorials for tax proceedings. Preparing memorials be made directly by Humberto Longas Londoño match time quoted and approved. In general , the preparation of the memorial will be quoted and billed according to the actual time incurred or deemed incurred at the rate of two hundred percent (200 % ) of the monthly legal minimum wage per hour, and fees charged to the final when settled by contingency fee , have no tax benefit, this value corresponds to the final fee. Exceptionally, the contingency fee system , as stipulated in the thirty percent ( 30 % ) of the tax benefit obtained by the favorable ruling will be used. Acting as special agent, which is different from the preparation of the memorial will be quoted and billed separately as single value because the three hundred percent ( 300 % ) of the monthly legal minimum wage , fees attributable to the final , when settled by contingency fee , have no tax benefit, this value corresponds to the final fee that will be added to the final fee for the preparation of the memorial. The handling and driving process and intervention in hearings by the special guardian will be billed separately at the rate of two ( 2) hours per month at the rate of one hundred percent (100 % ) of the monthly legal minimum wage per hour. 3. Tax research and tax concepts. The preparation of these will be made directly by Humberto Longas Londoño according to the time quoted and approved. Means tax benefit , savings or elimination of contingencies , taxes, surcharges, penalties and interest , which is considered by the study or get the concept. The quotation and billing can not be less than two hundred percent (200 % ) of the monthly legal minimum wage per hour incurred or is deemed to incur , or the thirty-four point three percent ( 3.34% ) of the minimum wage current monthly per minute incurred or estimated to be incurred. Copyright 2015 - Humberto Longas Asesores S.A.S.